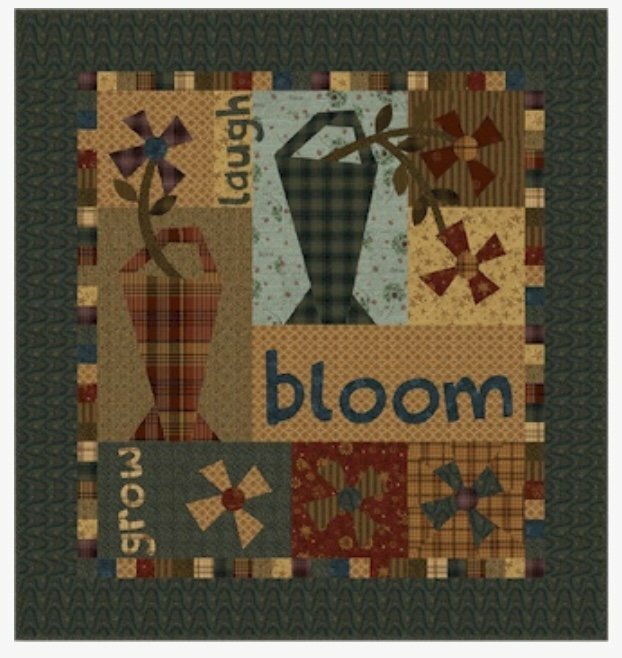 Laugh Bloom Grown quilt kit designed by Janet Rae Nesbitt of One Sister for Henry Glass & Co in conjunction with the One Crazy Sister Club. 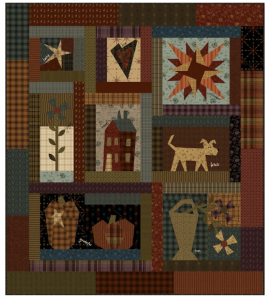 This kit includes the pattern, fabric and binding for the project which finishes at 30"x 32" and is the first of 7 projects, culminating in the bonus Crazy Good Life Quilt, which is made using leftover blocks and remaining portions of fat quarters from the monthly projects. All seven projects must be purchased to have all the blocks and patterns necessary to make Crazy Good Life and Itty Bitty Welcome with leftovers blocks and fabrics. Crazy Good Life Pattern piecing directions is sent out with your final kit. 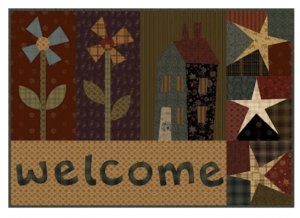 Itty Bitty Welcome instructions are found with the Happiness Is directions (at which time you have all the blocks to complete).